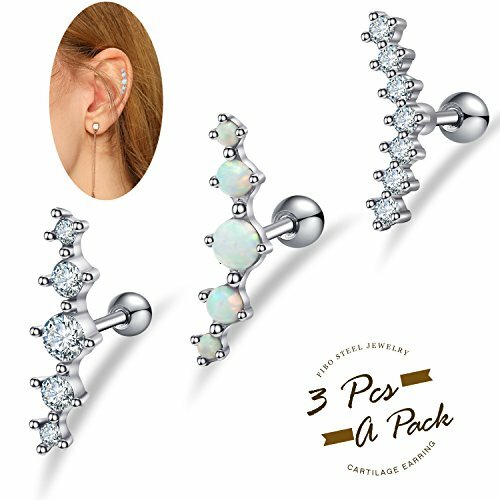 AFFORDABLE PIERCING SET--3 Pcs in a Set,All in Different Styles,1 Pcs Ear Piercing with 7 CZ Inlaid,1 Pcs with 5 CZ Inlaid,1 Pcs Opal Ear Piercing.More Choice for Daily Wearing.The Most Economical Set for You,Deserve to Purchase. 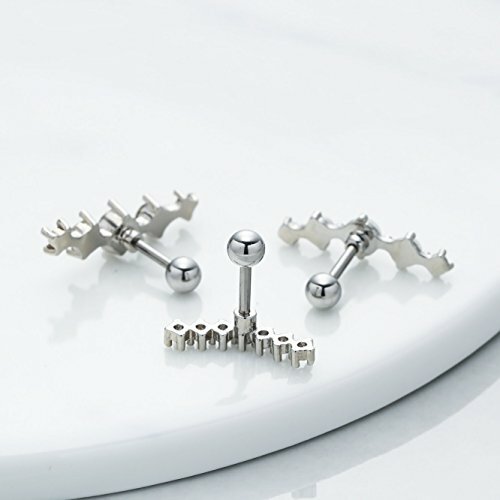 HIGH QUALITY MATERIAL--Made of Quality 316L Stainless Steel,Safe and Healthy,Nickel-free and Lead-free,Harmless to Human Body. 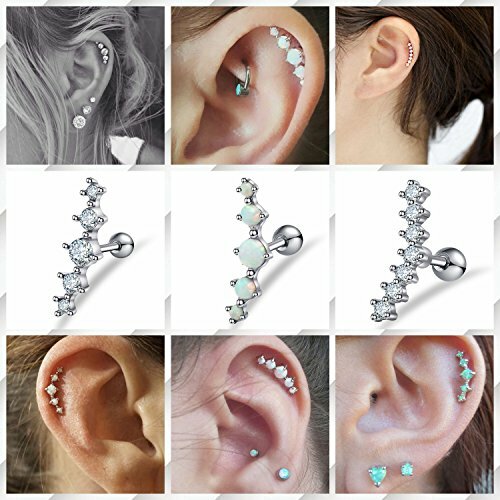 EAR HELIX PIERCING SIZE--Gauge:16G(1.2mm),Bra Length:1/4(6mm),Five Stone Stud Earring:21*6mm,Stone Diameter 2/3/4mm,Seven CZ Stud Earring:17*5mm,CZ Dia:2mm.4mm Screw Ball.Common Size to Fit Your Ear Piercing. PERFECT GIFT CHOICE--Shining AAA+ CZ and Opal Inlaid,Cute and Stylish.Great Gift for Your Girlfriends,Wife,Mother,Friends on Anniverasry,Birthday,Party.Also a Good Idea for Yourself. WARRANTY and PACKAGE--Promise 90-day Products Exchange or Money Back Guarantee. Come with a FIBO STEEL Black Velvet Pouch.